Actually, with the establishment of the PATH Intl. Credentialing Council, certification won't look very different from the way it operates now. PATH Intl. Certifications have been constructed and maintained by volunteer committees. Currently and historically, any changes to testing processes, procedures, content, criteria or how evaluators score the criteria are handled strictly by the pertinent certification subcommittee with no formal input from the larger membership. 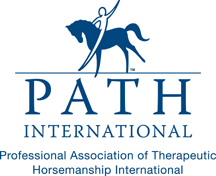 The chairs and subcommittee members are selected by PATH Intl. staff based on their qualifications to represent the views of the membership. The advantage of the Credentialing Council model is that the whole of membership will have the opportunity to vote for the members of the Credentialing Council, which will also include a public member. This allows the council to best represent PATH Intl. membership and general public interests. The Credentialing Council's scope of authority will be strictly within the realm of credentialing, meaning their primary duty will be to ensure that PATH Intl. certification tests are created and administered following the standards published by the National Commission for Certifying Agencies (NCCA). They will have no influence on PATH Intl. strategic direction, which is always carried out in partnership with the PATH Intl. Board of Trustees, the CEO and membership. We are confident that the formation of the Credentialing Council and the application of NCCA standards to our certification development will not diminish the need to demonstrate safety and the skills needed to be a qualified therapeutic riding instructor. It is neither our intention to make the test easier nor harder, but rather to create a certification that is recognized both within and outside the industry as the best. Have more questions about the bylaws vote pertaining to the accreditation of the PATH Intl. Therapeutic Riding Instructor Certification? Watch this webinar, available 24/7, for further details. You might also visit this list of recent member questions and comments or visit the webpage for past issues of this Trek to Accreditation eNews. If you still have questions or feedback about this accreditation process and/or the bylaws vote, please use this feedback link where you can leave your comments, and if requested, someone will get back to you.